click to view my AM STATION ! click to view 24GHz TESTING ! 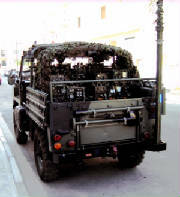 This Website is all about the military radio Collection of my old friend Furtu, holder and operator of 9H1ES from the Island of MALTA. 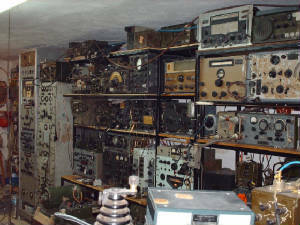 I was literally amazed at the dedication and ethusiasm he showed when I visited his prmises or rather what looked like a Radio museum ! Every radio is being restored to its former glory and then operated. This further inspired me to put together these few pages on the net to be shared with other radio ameteurs. All pics are taken by myself (9H1AA), but anyone can copy and share these pictures between fellow hams around the world.